FK Lowry Piling completed the design and installation of 255 No. 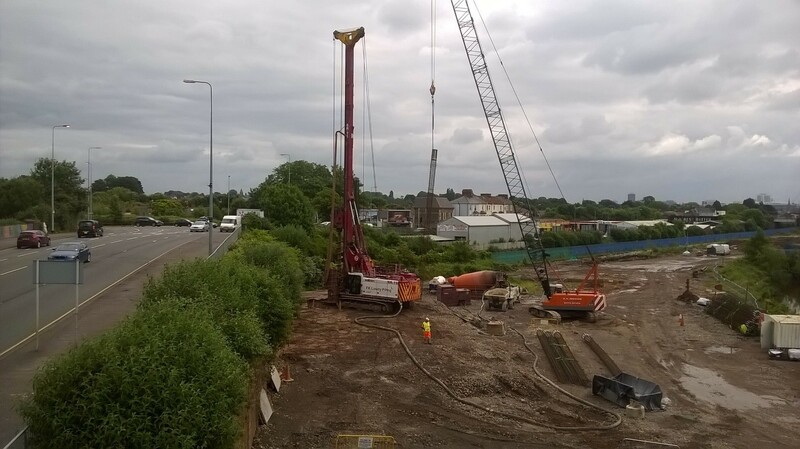 Continuous Flight Auger Piles (CFA) for a new Viaduct for a regeneration scheme in the Welsh Capital of Cardiff. The £100m scheme will see a derelict industrial site in west Cardiff transformed into an 800-home ‘urban village.’ The project will provide much-needed homes for sale and rent to a wide range of working households on a 53-acre site in Ely once occupied by the Arjo Wiggins paper mill. 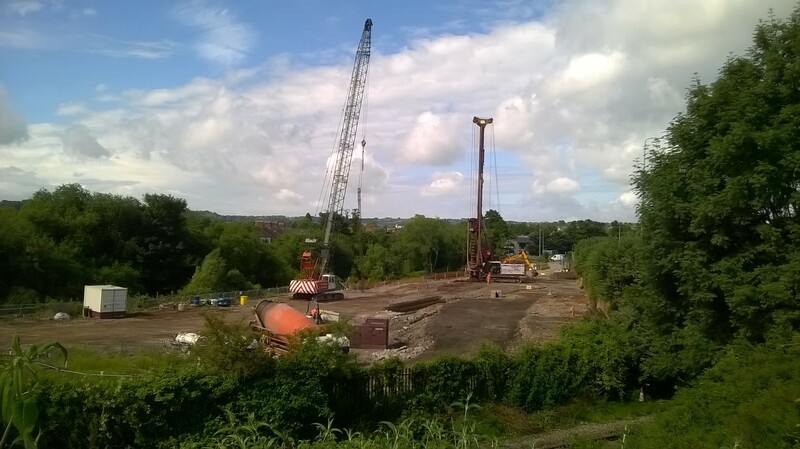 Known as The Mill, FK Lowry Piling were sub-contracted to the locally based Alun Griffiths Contractors for the construction of a new Viaduct on the project. 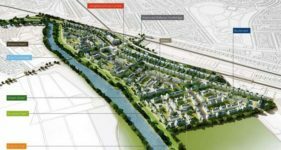 The overall scheme will include both affordable and open-market housing as well as new community facilities such as a village centre, open spaces, riverside footpaths and cycle-ways. FK Lowry deployed one of their Soilmec SR-75 Piling Rigs to install 450mm, 600mm & 750mm diameter CFA Piles to depths up to 14m below existing ground levels. The underlying soils consisted of Made Ground/Fill, underlain by stiff Clays, medium dense Sands before very dense Gravels were encountered at depth. Piles were then required to penetrate into a conglomerate of Siltstone and Mudstone. FK Lowry continues to broaden its portfolio of work in Wales which began back in 2013 when FK Lowry Piling successfully completed a £3 million Piling Scheme at the Viridor Energy from Waste Plant in Cardiff Bay for Lagan Specialist Contracting Group.